Is seems as though, Thursday’s are the perfect opportunity to start plotting out Weekend Brunch inspiration. When you have a big family or many friends, it can get expensive to snag such a large table at a diner for Pancakes and Waffles … Right? And let’s face it someone always gets stumped with bigger chunk of the check … And that someone is probably YOU! So Y not aim for something a bit simpler, maybe at your home or at the home of one of those other family members! Make it a ‘Pot Luck’ so no one person has to take on the brunt of the work and expense– that way everyone can have a great time, celebrating life, love and the fresh fare of Summer! The Y Life has some classic favorite Brunch ideas, and here are just a few to help you through. – Color & Theme: ALWAYS have a color palate and theme in mind– this will help you outline your plan for the event! – Plasticware (Napkins, Plates, Cups and Silverware) … Pick a color and have everyone stick to it. Cohesiveness is part of making your event enjoyable! – Salads… Fruit Salad, Potato Salad, Bean Salads, Ambrosia Salad, Egg Salad … All wonderful! Side dishes are a wonderful ‘Pot Luck’ assister, because they are no fuss or miss for anyone, but they truly do take prep-time the host may not have! – Drink… From Punch to Juice and Prosecco to Bloody Mary’s… Drinks can get costly for Millennials! So blame this one on everyone! Make sure everyone brings some type of beverage, to help compile everything you may need during the Brunch! – Bagels, Bagels, Bagels… Always the perfect Brunch Dish! 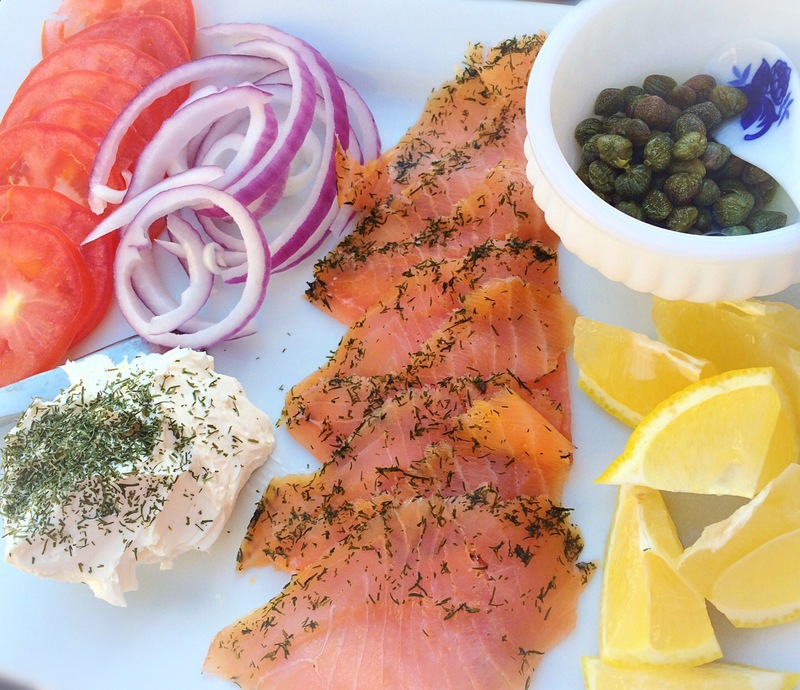 Make sure you include all of the traditional Bagel Brunch fixings, which are easy to pick up on the go, like: Lemon wedges, Capers, Tomato slices, Red Onion Slices, Cream Cheese, Lox & a Sprinkle of Dill! When it comes to the Bagels, mix-it-up and make sure you have a variety for everyone at the Brunch! – Pastries… These sweet and delectable treats are always a MUST HAVE! Y? Well some folks are big on ‘Traditional Breakfast Dishes’… But everyone loves croissants, muffins, donuts and coffee cake! So always have a fresh pastry basket on the buffet! P.S…. It’s always a slam dunk with the kiddos too! Easy dishes and ideas to perfect any Brunch!